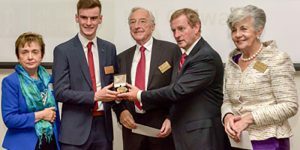 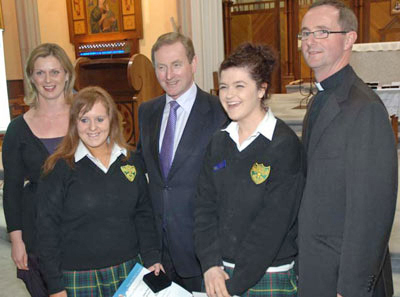 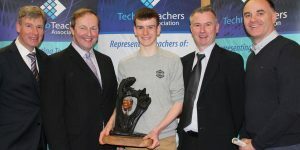 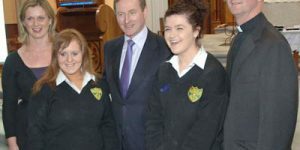 Eoin Corcoran receiving his scholarship award from An Taoiseach, Enda Kenny, TD at a ceremony in Trinity College, Dublin on Saturday 24th September. 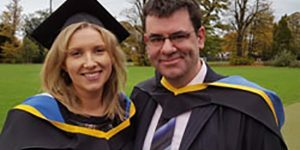 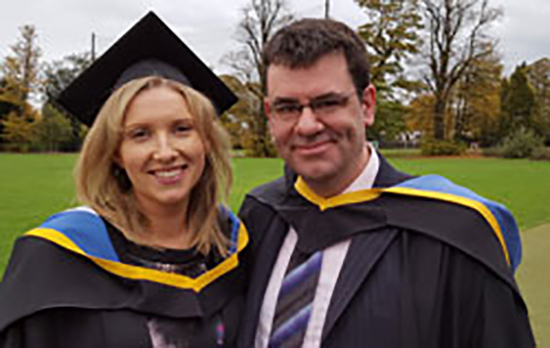 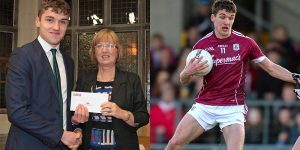 Congratulations to HRC teachers Ruth Conroy and David Harkin who were conferred with Masters of Arts in Christian Leadership in Education at Mary Immaculate College, Limerick recently. 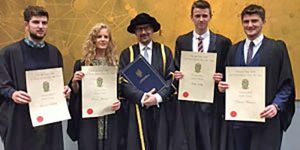 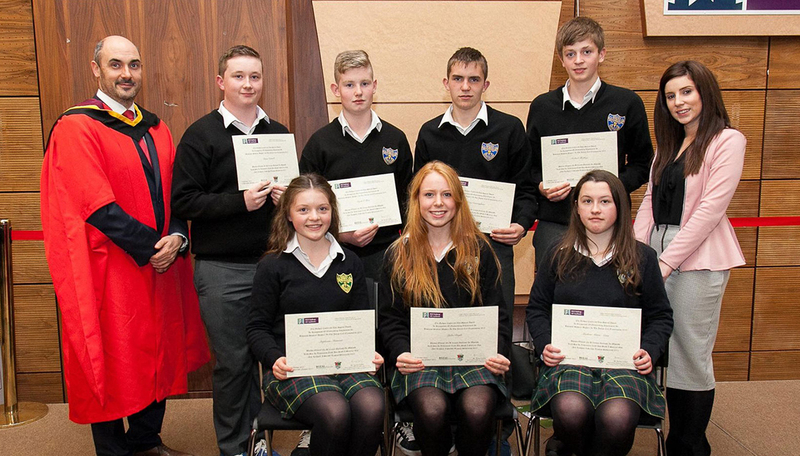 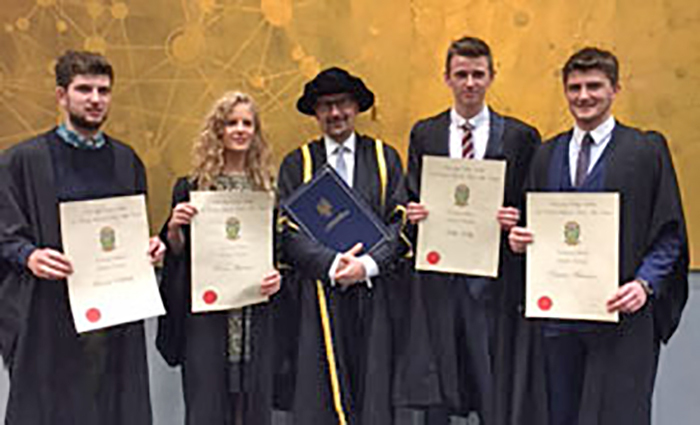 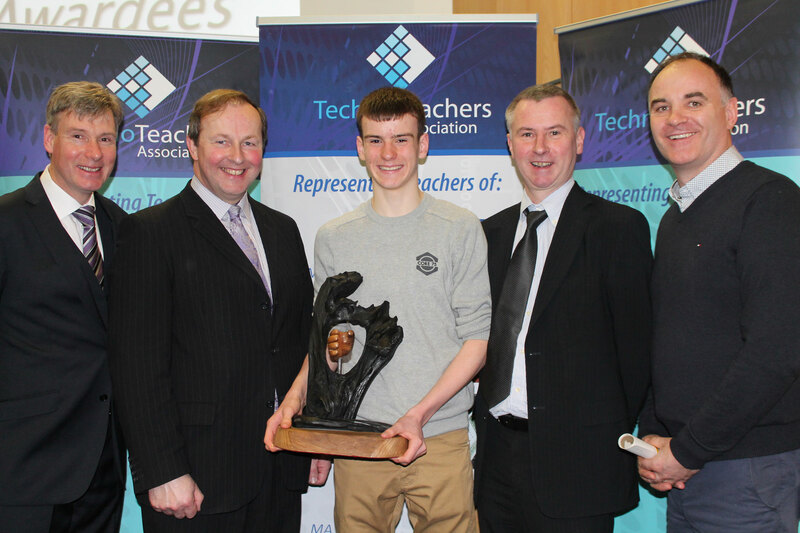 Pictured at the Entrance Scholars Awards ceremony in UCD on Wednesday, 18th November are HRC LC 2015 students Ronan Raftery, Roisin Mannion, Keith Kelly and Ciarán Mannion. 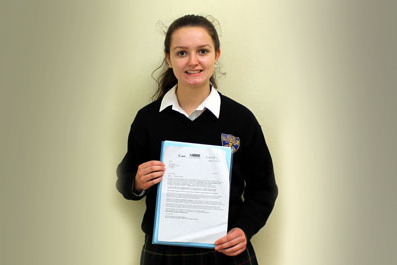 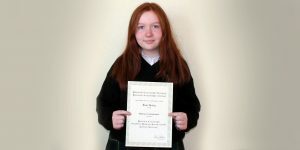 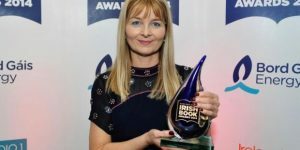 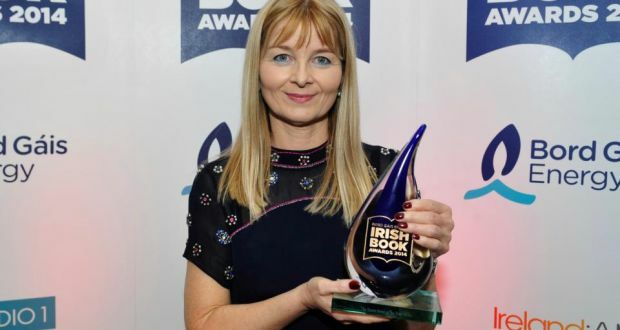 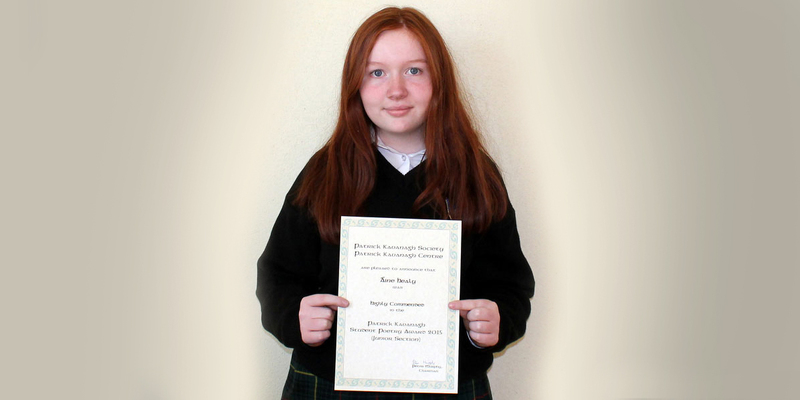 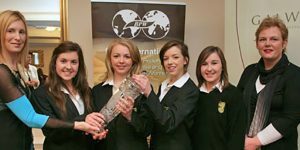 Congratulations to Aine Healy, 2nd Year, who was awarded a commendation for her entry ‘Childhood’, in the Patrick Kavanagh Poetry Awards. 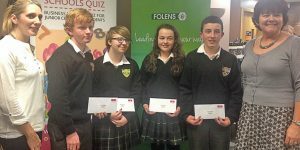 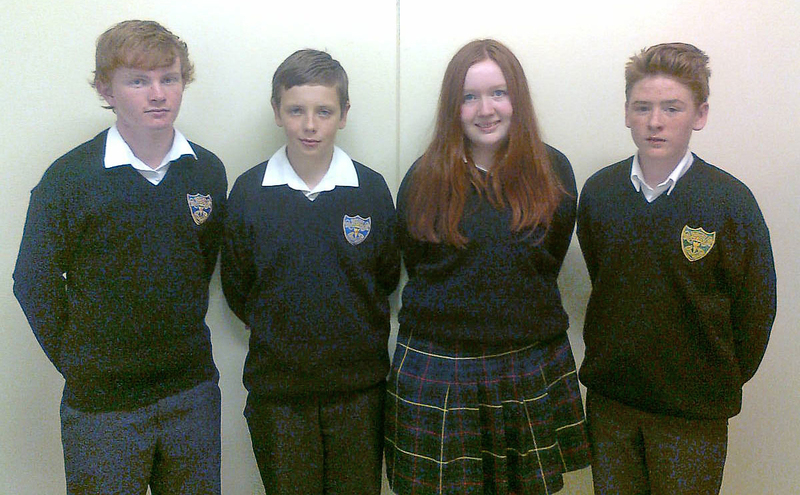 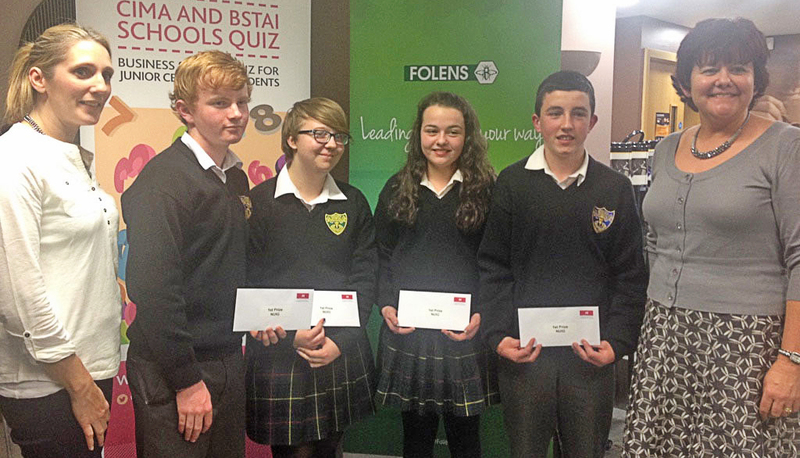 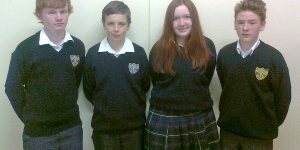 The HRC quiz team who came 2nd in the Junior Credit Union Schools’ Quiz, from left to right; Daniel Walsh, Calman Monaghan, Aine Healy and Ronan Lyons. 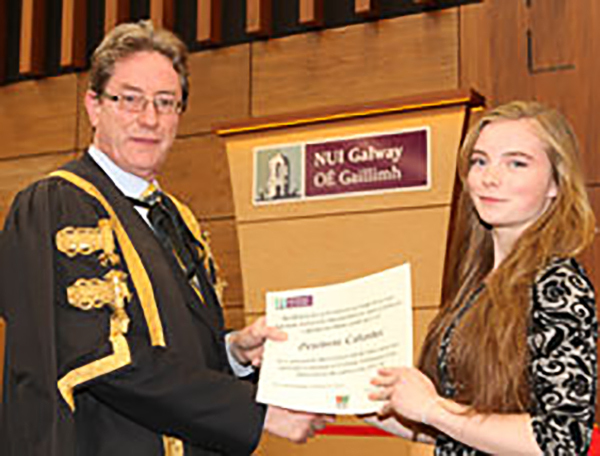 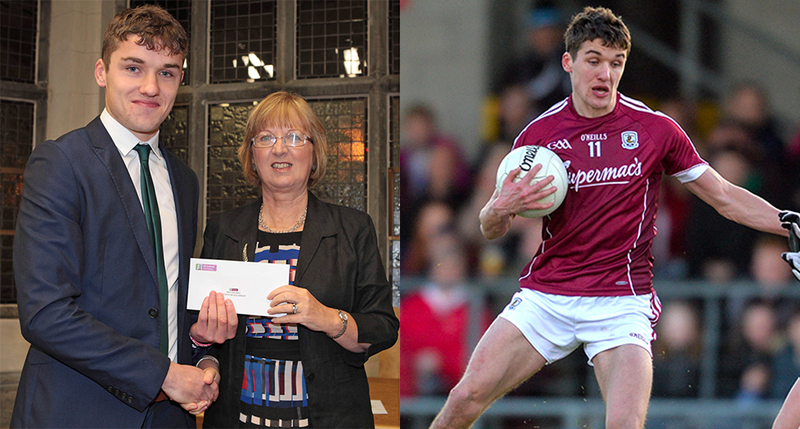 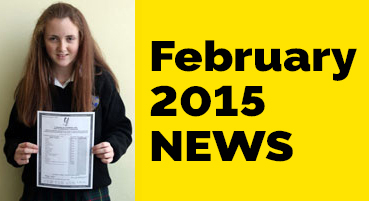 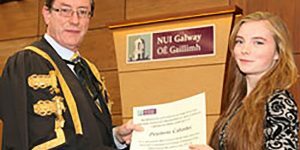 Genevieve Callendar, Class of 2015 receives her award from NUIG President Dr. Jim Browne. 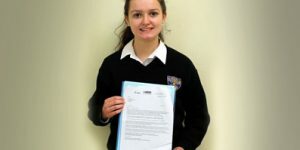 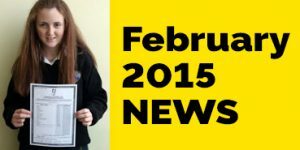 Congratulations, Geraldine.